There are more than 70,000 people who have made a sustainer commitment to The Salvation Army. And we wanted to learn more about this valuable group. Remember: Sustainer donors are those who have committed to support The Salvation Army using any regular frequency (monthly, quarterly, or annually) through the Army of Hope or Friends of The Army programs (AOH/FOTA). We looked at a subset of 21,000 donors to review their engagements, using data spanning four years (24 months before the donor commitment strategy [AOH/FOTA] was adopted and 24 months after). Average annual donor value was $141 before the donor commitment strategy was implemented. That annual value rose to $169 after the strategy was adopted, an increase of 20 percent. Additionally, the donor retention rate among these donors is between 80 and 93 percent — talk about commitment! This chart illustrates the number of committed donors, through Army of Hope and Friends of The Army, by Division. The blue bars (right axis) represent the members, and the green line (left axis) represents the annual revenue from those donors. For instance, the Wisconsin & Upper Michigan Division has nearly 16,000 active sustainers who produce over $3.3 million per year, which is about a quarter of their overall budget. Testing new offers, especially at the lower-dollar level, helps us maintain quantities of committed members and improve overall conversion and retention — not to mention the best-in-class ROI at all donor levels. Multichannel touchpoints, including direct mail, digital, and telephone, are integrated into our sustainer programs to help drive performance and to communicate with donors in their preferred channel. Ongoing upgrade offers, both in the mail and on the phone, have resulted in a record number of upgrades to higher-dollar amounts. Our Annual Statement of Giving and mailed reminders allow donors to increase the amounts they are giving, their frequency of giving, or both. Phone calls to donors also offer ample opportunity to increase their commitment through higher giving levels or greater frequency. Timing. 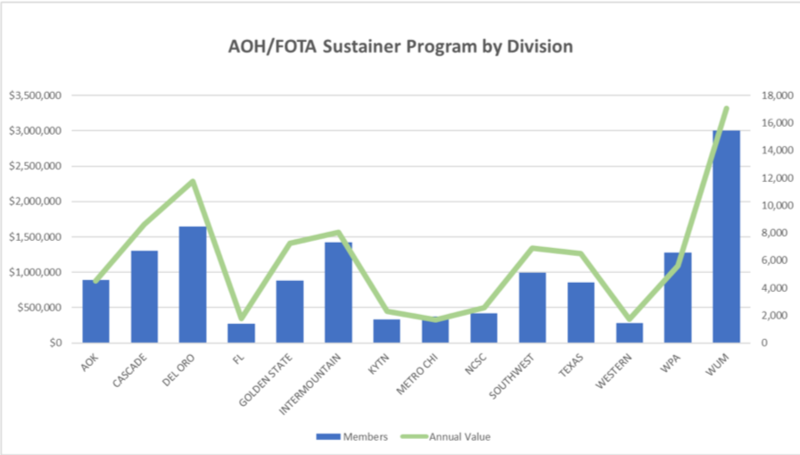 Invitations to join AOH/FOTA are made at various times throughout the year, via mail (in February and August) and phone calls, to both convert donors to sustainers and to upgrade their commitments. Honoring donor preferences. 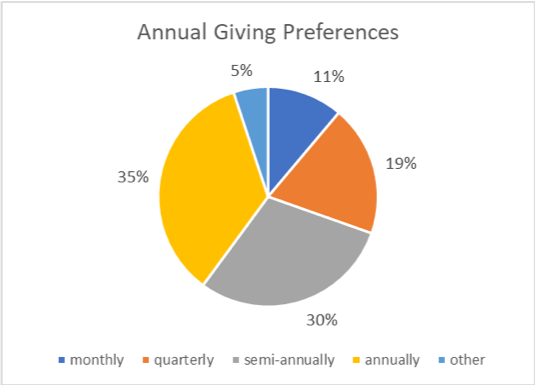 Many equate sustainer donors with monthly donors, but sustainer donors can show their commitment with any gift frequency. In fact, only 11 percent of Salvation Army sustainer donors chose monthly as their preferred frequency. Bonus benefit: Cost savings! When a donor commits to a regular giving cadence, the amount of mail they receive is usually reduced (depending on requested reminder frequency). We sometimes use “less mail” as another motivation for donors to convert to a sustainer relationship. And for you, this reduction in mail drives net revenue increases, freeing up funds to reinvest in file growth. Successful sustainer programs are the best example of good stewardship, reflecting two-way communication and highest efficiencies. Army of Hope and Friends of The Army have demonstrated clear and compelling offers, ease of sign-up, consistent brand communications, and donor choice of frequency. To learn more about sustainer donors, check out our popular series on the Heroic Fundraising blog.